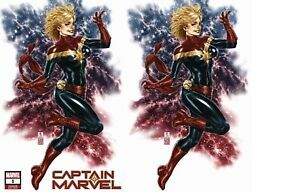 Captain Marvel #1 DAVID NAKAYAMA VIRGIN/TRADE VARIANT SET 2019! High Grade!!!!! ALL NEW WOLVERINE #19 ARTGERM VARIANT SET OF TWO!!! TRADE AND VIRGIN! BOTH NM!! PHOENIX RESURRECTION #1 IN HYUK LEE VARIANT SET OF TWO!!! TRADE AND VIRGIN! NM!! VENOM FIRST HOST #1 SCORPION DELL OTTO VARIANT SET TRADE AND VIRGIN BOTH NM!! Great comic!! Speedy delivery!! A+ seller!! Very nice transaction-Thank you!! !-Gorgeous books!! Exactly as described, fast delivery and nicely packaged. Fast shipping and well packaged! Recommended seller!